The trilogy of KROM NOIA started in 2011 with all the designs being made from digital paintings done in MS Paint by Thorkild May. 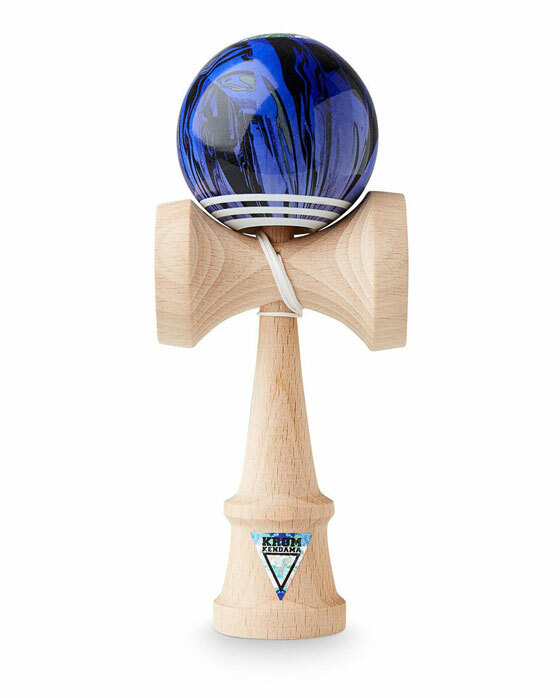 The first version of the KROM Noia Kendama was released in 2012. Now, moving into 2018 we are proud to bring to the world the best playing NOIA lineup ever. One of the beauties with this paint technique is that every single kendama has a unique pattern. Kendama is made of Beech wood. POP shape with super sticky LOL clear tama coating and mini bearing.